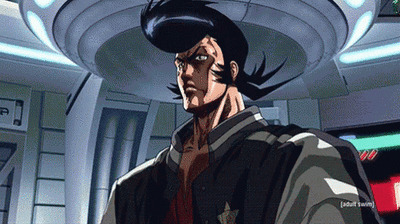 Space Dandy CE Season 1 and 2- Was really impressed watching the series on Netflix. So been waiting for a sale on the series.The cheapest I had seen for the CE versions was on Zavvi but that was the DVD version so was glad this came up! All three from Amazon, missed all three in last years holiday sale. May cancel Spice & Wolf, just gonna watch 1 or 2 episodes on YouTube, to see if I'll like it. Still a great price lol. Bought the "Short but Sweet" bundle despite technically owning like 7/10 parts of it. The only parts I don't currently have in my collection are the Tokyo Ghoul OVAs, HAL, Genius Party and the Space Dandy CEs (which I already have on SE but I thought it'd be worth the upgrade). Just like @HWR I'll be selling the duplicates as well as my original Space Dandy SE at some point. I've always wanted to watch this series and it was so cheap at Right Stuf that it had to be bought. assasination classroom 12 days bundle 9 student assasins! AL sale my poor wallet..... just bought The Assassination Classroom Collection as it worked out a lot cheaper than buying the Seasons parts individually both either DVD or Blu- Ray. This was another series I was awaiting on to be cheaper.So went for it plus the box art looks nice . Plus gotta love Koro-Sensei😍. Will be watching the dub when it comes as I have it seen it Subbed via Funimation. Well seems I went a bit overboard in the Rightstuf sale . Just ordered 26 titles, among them Bungo Stray Dogs Season 1 LE which is only on sale today. Compared the prices with the help of NormanicGrav excellent lists of the 2017 and 2016 sales. One guarantee: a nice customs form but actually that's calculated in. Compared where I would order it elsewhere (Amazon expedited, UP1USA, ...) it's still a gigantic saving. Golgo 13 was a good choice. I’ve struggled to find anything I really want so far in the sales. Was hoping for a couple of NIS America Premium Editions like last year but they don’t seem to be adding them. I’m also interested in getting this alongside the Gatchaman Blu Ray set. It looks like an interesting curio of early anime. Went for today’s bundle since I sold my AUS copies of YuriKuma and No-Rin on eBay for more than I paid originally in the Madman sales. Haven’t seen either Daimdaler or HS DxD yet. I’ll get around to selling the Testament SE eventually. Not in a hurry to get the CE of it since I doubt it’ll go OOP anytime soon. Thanks, Golgo 13 was one which was on my list for some time now, it dropped $16 compared with the 2016 sale and so I no longer could wait. I thought Golgo 13 looked alright on Blu Ray, it’s also pretty good value considering how many episodes the set has. In terms of NIS America titles I’m more looking for ones like The Pilot’s Love Song and Chronicles of Going Home Club. The world god only knows complete collection and received the dvd season 1 instead! Edit also mysterious girlfriend x is missing too. A Letter to Momo from the AL sale. Decided to go for Letter to Momo and Napping Princess.